QUICK Pod Presses are available in many sizes (1' x 10', 4' x 4', 4' x 8', 5' x 10', 5' x 12', 5' x 20', etc.) 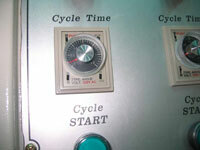 and configurations (side-loading or end-loading), and with either single or multiple (split) platens. Each upper platen can have multiple air pod zones if desired. The Presses can have either fixed vertical opening or motorized adjustable vertical opening. QUICK Pod Presses can produce up to a maximum 80 psi platen pressure at 120 psi supply air pressure, making them suitable for both lighter-duty (for example, high-pressure laminates to composite substrates) and heavier-duty (for example, wood veneering) applications. This is a 20 psi, 4' x 4' Pod Press with Motorized Vertical Opening. It is being used to laminate skins to a foam product. This is a 50 psi, end-loading, 4' x 8' Pod Press with Fixed Vertical Opening. 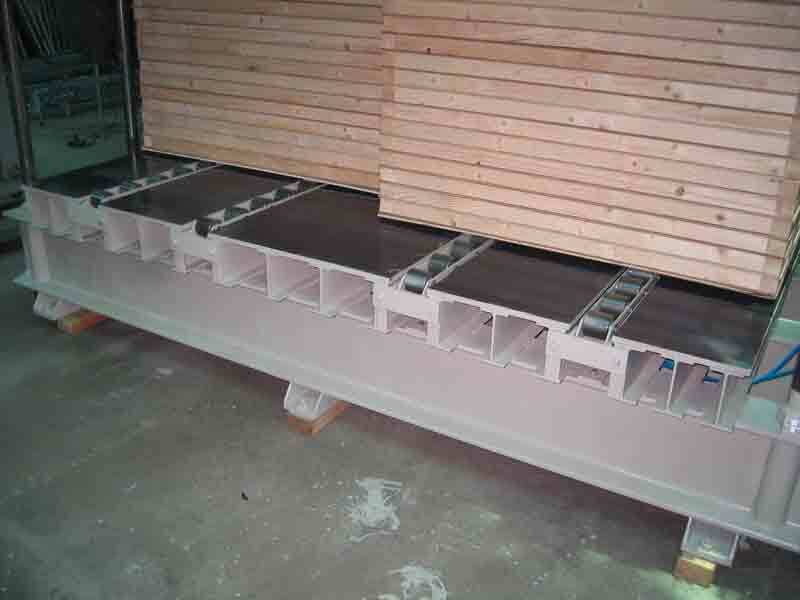 It is being used in the manufacturing of 3' x 7' entry doors. This is an 80 psi, side-loading, 4' x 8' Pod Press with Motorized Vertical Opening. This is a 50 psi, end-loading 5' x 12' Pod Press with Motorized Vertical Opening. This is a 50 psi, side-loading, 5' x 12' Pod Press with Motorized Vertical Opening. This is n 80 psi, end-loading, 5' x 20' Pod Press with Fixed Vertical Opening. For details on our 1' x 10' Door Stile Press, please click on the photo to the left. Vertical daylight opening is adjustable from 2" to 44", with adjustment being made via simple (Up and Down) push-button controls. 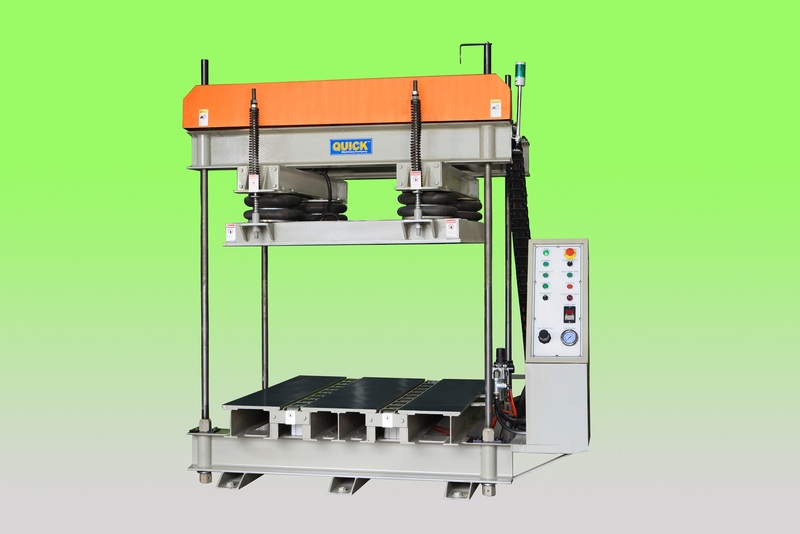 These controls operate an electrically-powered shaft-driven worm gear drive system, for precise and long-lasting platen calibration, quick and easy vertical platen adjustment, and long service life. 12.8" diameter air pods produce easily-adjustable, uniform laminating pressure. 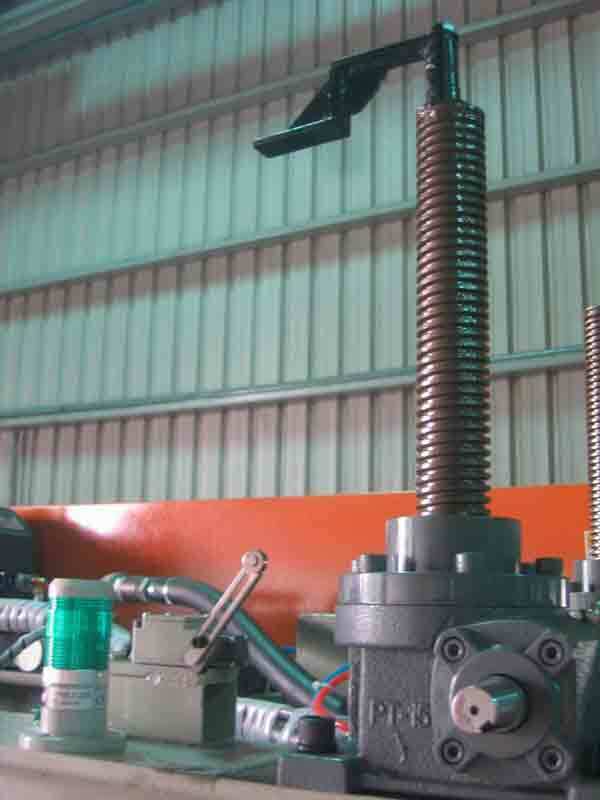 Material conveyance is via automatically-extending and -retracting (via pneumatic cylinders) roller tracks. Powered roller tracks are available. 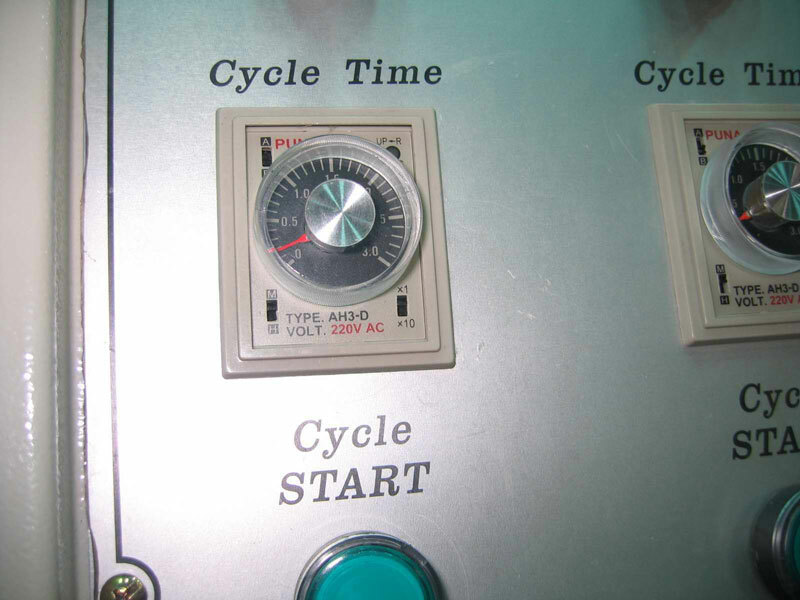 Independent cycle timers (one for each set of platens) provide visual and audible signals at the end of each cycle, if desired, and also automatically releases platen air pressure at the end of each cycle, if desired. 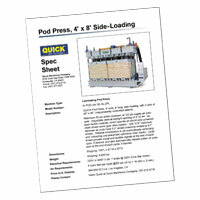 To view 30 high-resolution photos of a 4' x 8' side-loading Pod Press, please click on the image to the left. To view a movie of a 4' x 8' Side-Loading Pod Press, filmed at a recent trade show, please click on the image to the left. To view a second movie of a 4' x 8' Side-Loading Pod Press, filmed at a recent trade show, please click on the image to the left.